Back from Tsilivi and tried Romios for the first time. Excellent food, service and VFM. Staff are superb and is now our new Second Best favourite place to eat. By far the best place to eat in Tsilivi. All the staff are friendly and the food, both Greek and English is excellent. Great place to eat. Mixture of Greek and other nationalities - very friendly. One of my favourites in Tsilivi too. Brilliant service, food, price - it's the only restaurant we go to more than once in Tsilivi! Be back next week for more! one of my favourite places in Tsilivi to eat, great food and service. A fantastic place to eat, great menu variety, friendly attentive staff and valve for money. We could happily go there every night and have something different off the extensive exciting menu. There is also a good childrens menu. There are many excellent restaurants in Tsilivi but this has to be the best. No one dragging you in off the street, an immediate welcome, great choice of food on the menu and all freshly prepared. Suit most tastes. Great value for money and did I mention that the staff are really friendly and helpful! Just returned from a 2 week holiday in Tsilivi .Although I have stayed at the resort twice before I only discovered Romios during this visit . I do not usually post comments about restaurants however this place is the one to visit . We ate there 4 times and tried various dishes all of which were of a very high standard . The staff were very friendly and attentive though not intrusive . Very good value for money and cannot wait to go back and sample there food again . This is without doubt the best restaurant I have been to in Zante. In a 2 week holiday we ate there almost every night and still didn't get anywhere near halfway through the menu as there was much choice..!! The customer service from Sally and Fotis was excellant, it really is a great family atmosphere. Thank you, we will definately be back again next year. Went to Romios as it was recommended by George from the Bolero Bar (great bar! )it was a lovely meal, freshly prepared and good value for money. We would definately recommend that you go there, there is plenty of space and you are not rushed unlike others nearby. We are going to Tsilivi again next year and will be returning to Romios thats for sure!!! This really is one of the best places to eat on the whole Island, even if you are not staying in Tsilivi its worth the drive there just to sample the food. Great job guys "We will be back "
We visited this restaurant on several occasions during our holiday with our two sons because it never let us down with it's fantastic service, friendly staff and superb food for all the family . My husband is a very fussy vegetarian who was never let down at this restaurant The chef even cooked him something that was not on the menu one evening and it looked absolutely delicious!! When we were discussing where to eat out each night my two sons always asked to go there, they loved it! You really shouldn't be in Tsilivi and not have spent time in this restaurant. Thanks guys, well done and you will definitely be seeing us again when we return next year!! Went here on recomendation, sorry but waited hour and half for meal.Finally just got up and left ( was only half full at time ). No apologies from staff . Maybe just unlucky. Fantastic range of starters here - had 12 between 3 of us one night, was stuffed. Staff realy friendly and good service if you sit upstairs. This was the best restaraunt i have been to in a very long time abroad or at home. The staff are friendly and welcoming. There is a large selection of food to cater for everyones tastes. The food was absolutely delicious and there was alot on each portion and the price was very reasonable. Me and my girlfriend tried a few other places but ended up coming here 7 times. Definatley one to try. Our first night in Tsilivi ... all excited about arriving back in our favourite resort. We went for a walk to see where we wanted to eat. We got to the Planet bar and the heavens opened!!!! We had to take shelter!!! So we decided tp wait until the rain slowed down and run over to Romios. We ate there last year and enjoyed it. We had another fabulous meal and the total bill was incredible.. excellent value for money. Don't hesitate to try here. We wil lbe back in Septemeber, looking forward to seeing you all again. Just reading the comments. Cannot believe the negative one, we ate in Romios on most nights because it was by and far the best restaurant in town. We are regular visitors to the Island and have yet to find a better place to eat. The staff are brilliant and the food has always been fresh and delicious. The whole family could not praise Romios enough. AND they have a waitress that looks like Sandra Bullock !! What more could you ask ??? This was the worst meal we had during our stay in Tsilivi. Although the staff were very pleasant and the atmosphere was good the food was disgusting. We ordered a lasagne which was warm and looked as though it was a slice from a larger lasagne rather than served in a hot dish straight from the oven as we had seen in other restaurants. It was served with a very limp salad and greasy chips, all in all a pretty gross meal! We ate at Romios one night last week my husband had a very nice pizza but it was huge he couldn't eat it all ,I had roast lamb Romio style - delicious ! We've just returned from Tsilivi and loved Romios. We ate there numerous times in our 2 week stay and myself, my husband and two kids tried lots of different things on the menu. Every meal we ordered was delicious, fresh and extremely well presented. The staff are very courteous and polite. We were also pleased with the cost of the food, it was so reasonable . Probably one of the best restaurants in town. I had Mousaka which was served piping hot in a pot. Nothing appeared to have been frozen. I had read entries on this restaurant prior to my trip, so made a point of visiting Romios. I was not disappointed. A little more pricey but well worth it in my view. Me and my boyfriend ate here twice during our stay last year at it was great. I remember the stuffed potato skins were lovely, and the seafood and chicken were really nice too. i cant remember exactly what we ate now but it was all good and reasonably priced. We ate here twice in the week we were there in May. Friendly and polite staff ensured your meal was enjoyable. Food was delicious and served with enough time in between to relax and enjoy the atmosphere. Prices were very reasonable and we will definately be back in September. I wasn't feeling too good the second time we went so I couldn't eat all of my main course. The waiter thought there was something wrong with it and gave me the look when I tried to explain it was delicious but I couldn't eat as was feeling unwell. I think he understood!!!!! hahaha. But we will eat here again for sure, plus recommend to friends that are going out this year. all the management and staff of romios would like to wish you seasons greetings and we look forward to seeing both old and new customers in summer 2006. Romios is by far the best restaurant in Tsilivi. Believe me, we have tried many of them as we have been to Tsilivi many times. The staff are really friendly, the place is spotlessly clean and the food is wondeful and HUGE PORTIONS! We ate there many times on our last holiday and only managed to finish the meal once. Everything is cooked and presented extremely well and no matter how busy they are, you are never made to feel rushed. We are returning to Tsilivi in May 2006 with our grand daughter and will definately be eating in Romios!! we ate here on three times during our holiday the food was delicious, cant fault it ! We found this restaurant during our second week and we wish that we found it sooner. The food was fantastic. The first time we ate here my boyfriend had peppered stake, and the stake was so tender and the sauce was tasty. I had ribs and stake, and the ribs were lovley and so was the stake. But we ordered fried squid for our starter and you get loads we could believe how mush we got, you could order one and it would of been enough for two, and you get a lovley lemon dip that comes with it. We aslo had a medium-dry red wine which was nice. The service here was really good, we didnt feel rushed at all. The second time we ate here we had ribs as our starter and they were lovley. And for our main we had surf and turf with three different dips, tarta bbq and sweet chilli and they were all tasty. The scampi was lovley could of done with more as only three pieces were given (i love scampi) but the stake was big enough so if we were given more i'd probably would of been able to eat it all. And we had some medium-dry white wine, Romios had there own brand of wine and it was so nice when we finished our meal we ordered another bottle and drank it there, it was so nice to take our time, we didnt feel rushed at all, the staff we really friendly. And when we finished our meal they gave us a free shot of something made out of cloves, which was really nice but you had to sip it as we were told that if you downed it then it would burn your throat, but still i liked it. The price here was very good and the food was even better, this is one of the best restaurants that we ate in. We will definalty be comming back to eat here next year. I would highly recomend Romios. Excellent variety and quality of meals...would highly recommend the Hawaii Chicken or Canneloni!! The food here is excellent!!! By far the best restaurant in the resort.. We ate here 6 nights out of 14 and everything about the establishment was brilliant! The service was excellent with a welcoming feel throughout our stay, the food was brilliant (Seafood Pasta was especially nice) and excellent value for money.. I can't say enough about how good Romio's is.. You must eat here!!!!!!!!!! 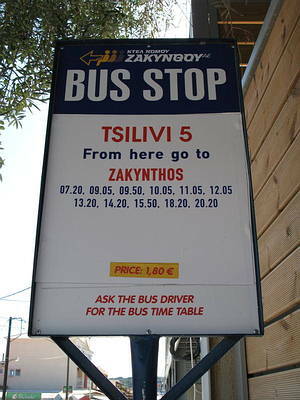 in reply to your query Olivia, we are in Tsilivi on the main road opposite to Planet bar. We are all still here the restaurant is still called Romios and is in its second summer season ,same owners ,same staff and more importantly same chef still providing what we hope is the best food and service. Although I have yet to visit, if this restaurant is as good as the one that they used to own in Laganas, I will be eating here every night when we visit next year. We came back to Zante for the third year running in June and were horrified to discover that our favourite eating place had closed and some god awful sports bar was being built in its place.The holiday just wasnt the same without it. Can anyone tell me how where the restaraunt is and how far it is from the Zante Star apartments? Me and my family ate in Romios for 6 nights out of our 14 in zante and the food was second to none. The staff were very friendly especially the english waitress who knew us from previous years. 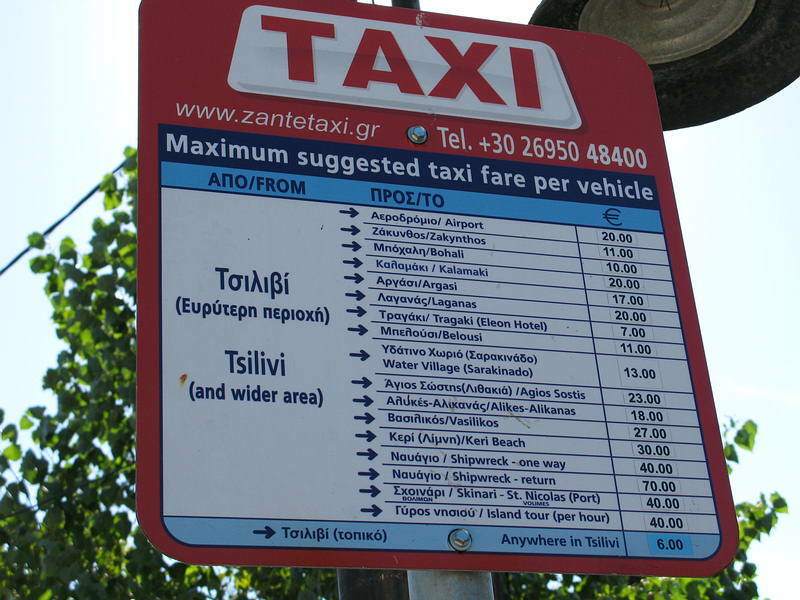 I would recommend this to anyone travelling to zante and will without a doubt be returning. I totally agree with the person who said they cant understand why this place has a poor rating.We stayed just across the way from it at planet apts and we only went in there one night because we had a storm and we couldnt go any further ..but we were glad we did ..it was the best meal we had all of our 2 week stay.The food was lovely ..the service we had was spot ..we went back a couple of times. we would like to wish all our customers a very Happy Christmas and Best Wishes for the New Year ! what a horrible place. the service was absolutely dreadful. we waited over 1 hour for our dinner and even then it wasnt that nice. Chicken was hardly cooked, not even proper chicken. Waiters tried to look busy to avoid contact with you. This restaurant is certainly worth a visit. The food was excellent whether you choose traditional greek cuisine or a choice from the wide range of other dishes. Very extensive menu. The surroundings are very relaxing, cool and calm and the staff are very professional. Just the sort of place you want to go to when you are on holiday.Ten out of ten. Don't miss it! This is a really nice place and probably the best in the town. We had Lamb Souvlaki and fish dishes and they were very good. There is plenty of space and not rushed. Staff very professional and same prices as the others around. Certainly worth a visit. What a fantastic restaurant this is!! We holidayed in laganas last year and enjoyed the hospitality of Romeos restaurant there, SO! couldn't believe our luck when this year, in Tsilivis we came across their other restauant also Romeos!! The staff are very professional and friendly and the food is excellent. Lots of vegetarian dishes and a huge selection of other dishes too. Plenty of choice for the children and really reasonably priced. We visited several times on our holiday because we found nowhere that compared. Write it on your list of places you MUST visit!